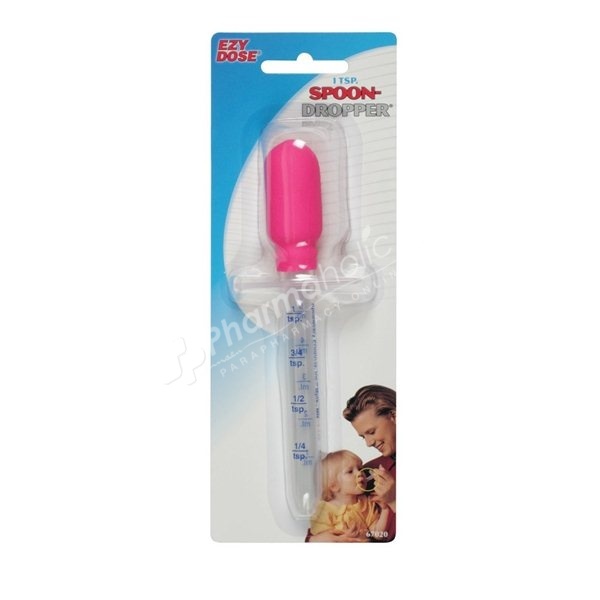 Ideal for giving liquid medication to infants and toddlers, the 1 tsp. spoon-dropper delivers an accurate dose safely and easily. Large, easy to read calibrations in tsp. and ml help ensure an accurate dosage every time. ''Arms'' on the pipette keep the dropper from falling into the medicine bottle. This product is not a toy. Keep out of reach of children.